In Auschwitz Museum visitors can see exhibitions devoted to art created by prisoners of the concentration camp. This is one of the most touching parts of the museum. It shows that even in inhuman conditions people needed aesthetic experiences, beauty and emotions. Making art was a way to keep their humanity and after all many pieces of the prisoners art work turned out to be important artifacts that brought priceless information about life in camp. 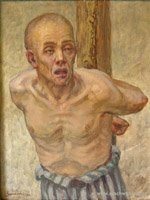 Art works from Auschwitz can be divided into four categories. 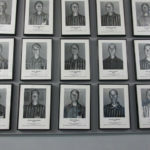 The first one contains works made by prisoners on behalf of the SS. 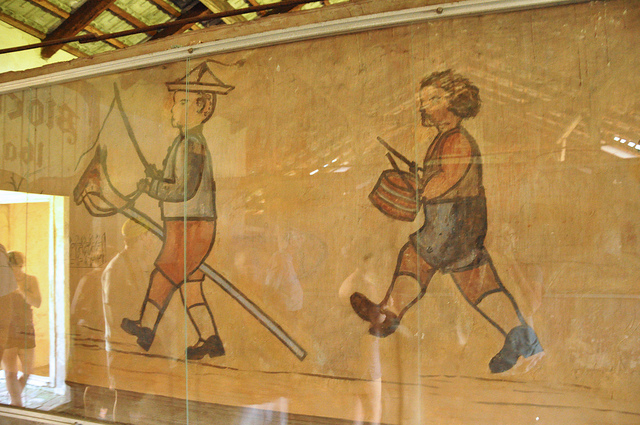 They are paintings and illustrations connected with German culture and history. They were placed in the Lager museum (Camp Museum), the second are the pieces of art robbed from people during round-ups. The third is a category made with works created by those who survived Auschwitz. The main part of this one are the poems, diaries and also drawings and paintings describing hard times in the concentration camp. Minor items made for prisoners are the third category as well. The works are often very touching. 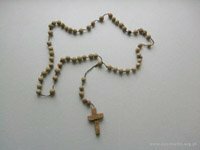 Among them we can find, for example, rosary made with pieces of bread. 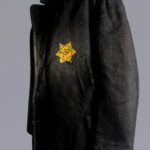 This is one of the most famous items from the Auschwitz. It shows a need of God during these hard moments. The last category is probably the most important. It contains works made in conspiracy. 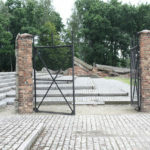 Those who were creating art works describing their lives in the camp were severely punished by the SS. Remains of those art pieces are very important as works created in the moment of torment. They are all hard evidences of Nazi crimes. 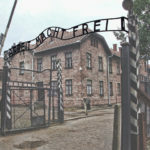 Auschwitz art is unique exhibition. 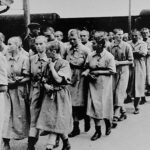 It shows the sensibility of people imprisoned by Nazis. 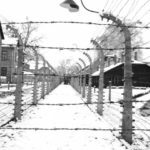 It’s also a very important documentation of Auschwitz’s daily life. Art helped those people to be strong and to survive the hell of the concentration camp. 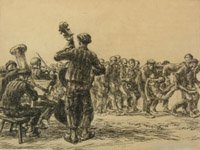 Artists of Auschwitz even in inhuman conditions were able to keep their humanity. They are all amazing examples of mind over matter.